Whether they’re on billboards, banner ads, or television commercials, we all instantly recognize them: Nike’s iconic swoosh, McDonald’s golden arches, or Starbucks’ doubled-tailed mermaid. 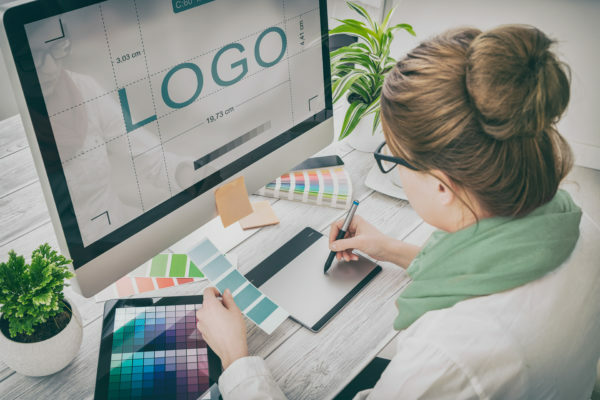 Logos are the visual embodiment of a company, and they are an essential element in conveying a business’ brand identity such as its personality, values, and culture. Here are four reasons why a professionally-designed logo is crucial to any business. Even before a customer interacts with your brand, chances are, they have already formed an opinion about your company based solely on your logo. Having a logo that is original, memorable, simple, and that reflects your business is essential in creating a great first impression. A well-designed logo that exudes professionalism and know-how has the power to instill confidence in the customer’s mind whereas an inferior logo can convey inexperience and incompetence, therefore reducing trust in that company’s products or services. 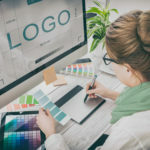 With fierce competition dominating the online space, an e-commerce company that invests in a professionally-designed logo can differentiate itself from others. In fact, customers, being highly visual, rely on logos to navigate the multitude of choices available to them. It is often easier for potential customers to remember a logo rather than text, including brand names. The pictorial representation of your brand is the most visually prominent element of your corporate identity, proudly displayed on your website, letterhead, branded merchandise, just to name a few. A recognizable logo that creates a favorable impression of your business will attract new customers to your business by ensuring that they remember you when the time is right. Start your brand off right with a customized logo designed to match your company’s personality by contacting Numinix today!